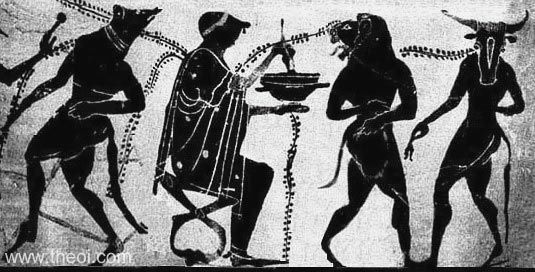 The witch Circe transforms Odysseus' men into beasts. They are depicted partially transformed with the heads and tails of a dog, a lion and a bull. The witch sits on a stool stirring a potion with a wand.